08 April 2019 – Amman, Jordan: Generations For Peace, a global non-profit peacebuilding organisation based in Jordan, engaged over 500 youth in nine countries with Get the Ball Rolling 2019, an international series of football games that united diverse youth to celebrate International Day of Sport for Development and Peace (IDSDP). The purpose of the global event was to emphasise the power of sport to foster unity and build peace across physical, mental, and emotional borders. At 11am UTC (1pm in Jordan) 17 simultaneous matches began across Africa, Asia, Europe, and the Middle East. 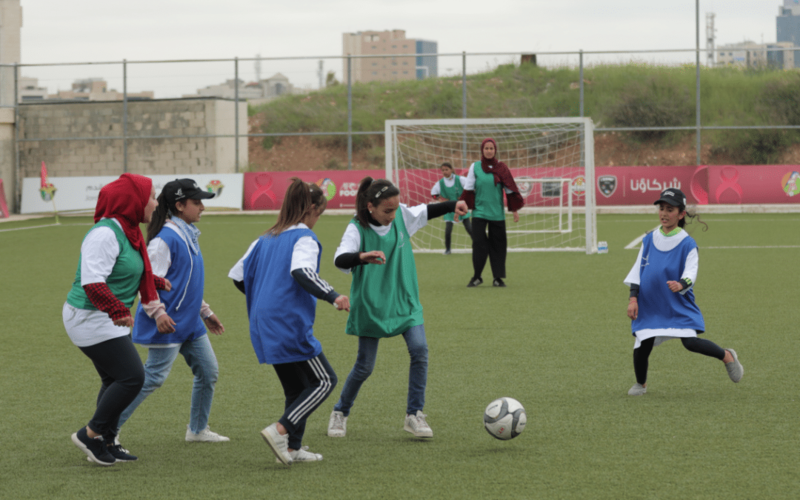 In Amman, with support from UNICEF and the Jordan Olympic Committee, the games created a safe space brought to life at Sport City and welcomed boys and girls from various backgrounds and of various ages to overcome divisive barriers through sport.